For energy-efficient windows, expert replacement services, and top-notch professionalism, turn to Majors Home Improvement. We serve homeowners in Fort Walton Beach, Florida, and surrounding cities and have been a leading installer in the area since 1997. 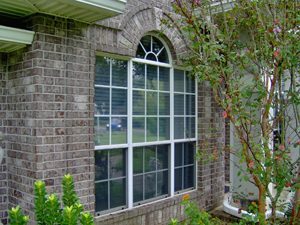 We install our own line of Majors Select™ Vinyl Windows that are durable, energy efficient, and available in all of the most popular styles today. You’ll be able to choose from single hung, double hung, slider, casement, picture, storm, bay, and more to ensure your new windows complement your home beautifully. We’ve earned an A+ rating with the Better Business Bureau, a five-star rating with GuildQuality, and the award of Top 500 Remodeler from Qualified Remodeler magazine, accolades that speak to our professionalism and excellent customer service. For every customer we serve, we provide Red Carpet Service. This is an internal checklist that our installers use to ensure our customers receive all-star treatment. Some of the items on this checklist include communicating clearly throughout the replacement project, keeping a clean worksite, and demonstrating the product once installed. Our windows are backed by a double lifetime warranty, protecting both the product itself and the labor our installers complete. If you’d like to discuss our windows and replacement services with one of our friendly representatives, contact Majors Home Improvement today. When you do, we can schedule a complimentary consultation at your home in Fort Walton Beach, FL.